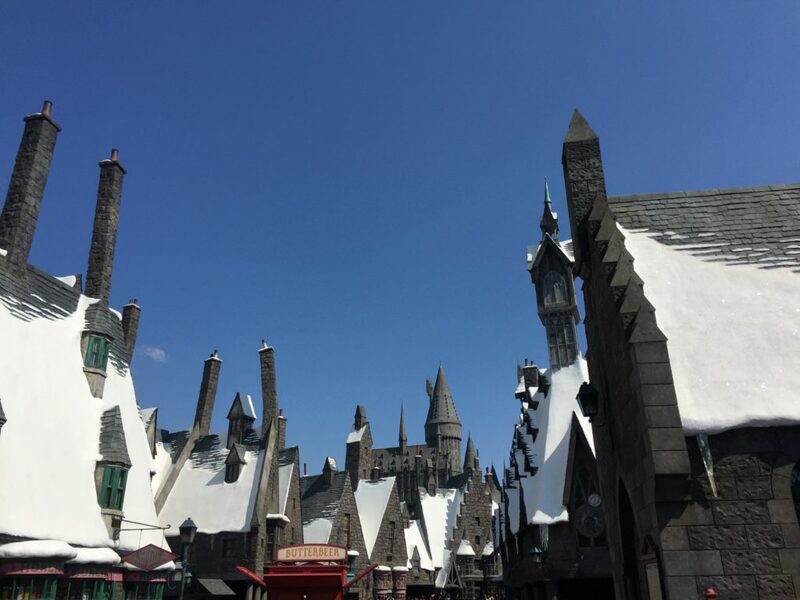 I just got back from Los Angeles where I went to The Wizarding World of Harry Potter in Hollywood. 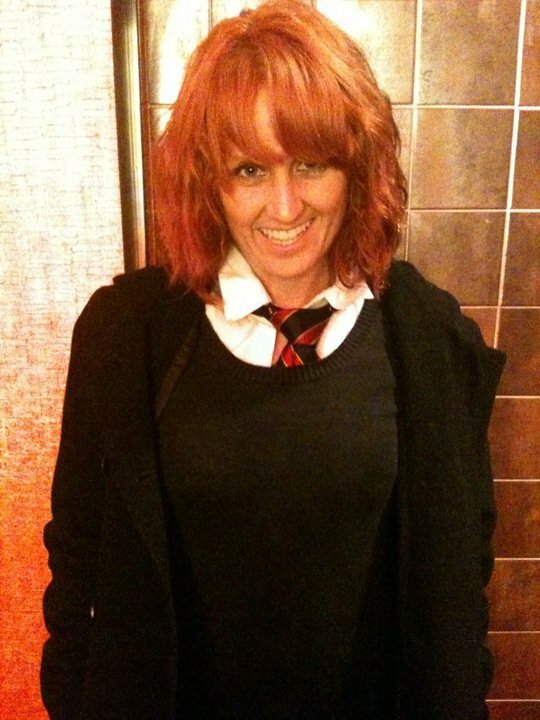 Now I’m not a crazed Potter Head. I mean I’ve read all the books and watched all the movies, but who hasn’t? Did I cry when the series ended? 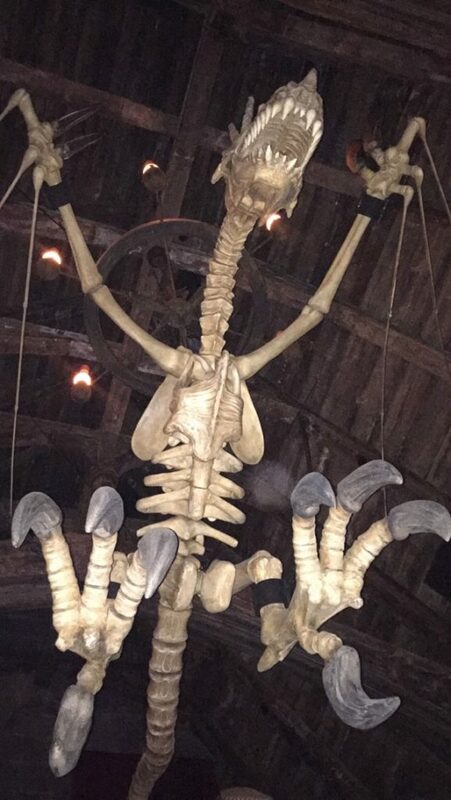 What do you Expecto Patronum? I’m not a heartless Dementor. Have I ever dressed up as a Harry Potter character? Only twice. Do I argue with the kids that I coach about how they don’t give Ginny Weasley enough credit for being a strong, independent woman who didn’t rely on Harry to lead the way? I mean I don’t know what garbage they are learning at school and I’m only trying to educate them. My alarm is the Hedwig’s Theme song, my coffee mug has a transforming Marauder’s Map, and I might have a HP coloring book. Therefore, I’m just your typical, completely normal Harry Potter lover. 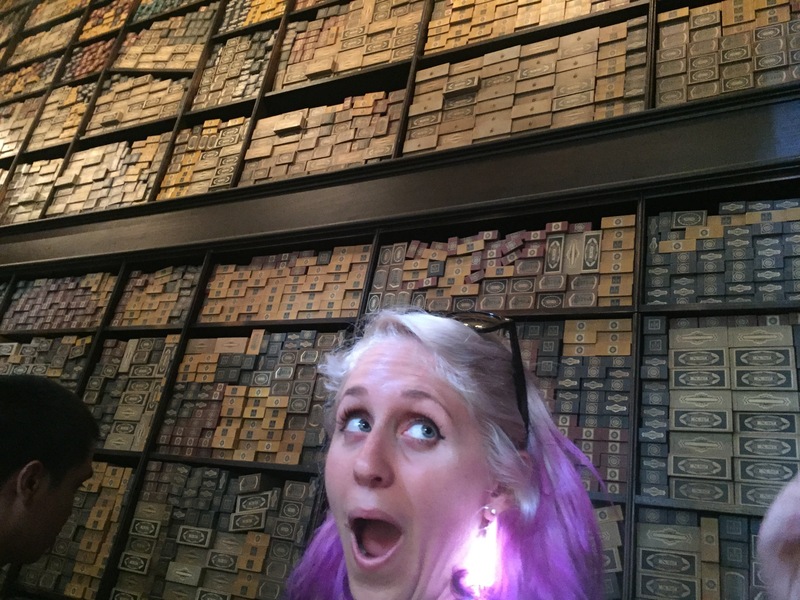 So when I found out the Hogwarts was coming to California I was slightly intrigued. Now I don’t live in Los Angeles, but my sister does and my mom wanted us all to go to the Azusa Street Revival. 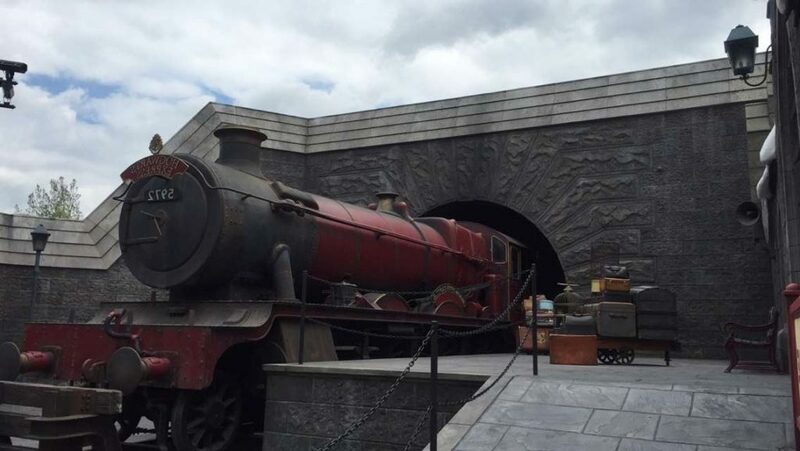 The event just happened to occur 2 days after Hogwarts opened. I told my mom I would go under one condition… Wax Museum!! Kidding. Order HP shirt. Check. Ok ok. So the opening day was April 7th and our fateful day was Monday April 11. I made it perfectly clear to my family that I wanted to be at the park 15 minutes before it opened at 9am. Mainly cause last time we did a theme park adventure it started off with a meltdown cause we were 2 hours late. Since we bought season passes we got to go into the park an hour before everyone else. At 8:30am I was starting to stress a little while we waited in line at Starbucks, which granted was only 5 minutes away from the park. In order to calm my nerves my bro-in-law went with me to wait in line at the entrance. We then found out that the park had opened up even earlier for us, 8:36 to be exact. We then waited “patiently” (I had a timer set for 5 minutes) for the rest of the crew to show up with Starbucks (They made it in the last 5 seconds). I did a little research about the best route through the park. This has nothing to do with being a Potter Head, but with efficiency. First off, at the entrance you can grab a picture at the 9 3/4 platform. But a picture on the platform with the luggage is $15. None of us were onboard due to the price. Walking through the line for the Forbidden Journey is an adventure in itself. The detail and creativity make it all that much more magical of an experience. The scream of a mature Mandrake when it is unearthed will kill any person who hears it. I was lucky enough to survive. I got off the ride with a major squeal of love and excitement. There is one part with spiders that I could have done without, but that’s just a personal preference. The ride ends in a gift shop, as always. Pins are the one touristy souvenir I’ve collected over the years. They are small and not too expensive and nerdy AF. It was Prefect. I mean perfect. Next up was the Flight of the Hippogriff. It’s a small roller coaster that was a good warm up for some of us who aren’t found of being Wingardium Leviosa aka acrophobes. The best part of the ride was when I got a secret password from one of the Hogmeade locals (park employees). My sister desperately wanted to know what is was, but keeping it from her was more fun that actually knowing it myself. Since I wasn’t told what to do with the secret I asked another elf. 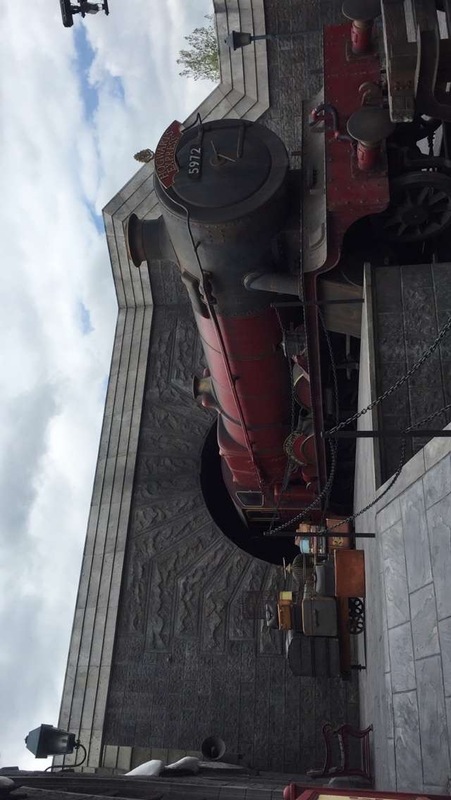 I found out that you get to cut the line at the Forbidden Journey ride. Wanna know? Too bad sis. Find your own. Geez. Don’t freak out. It was “Fox Glove”, but I’m sure they change them so don’t get your hopes up. But if you’re nice to a Hogsmeade local they might share it with you. 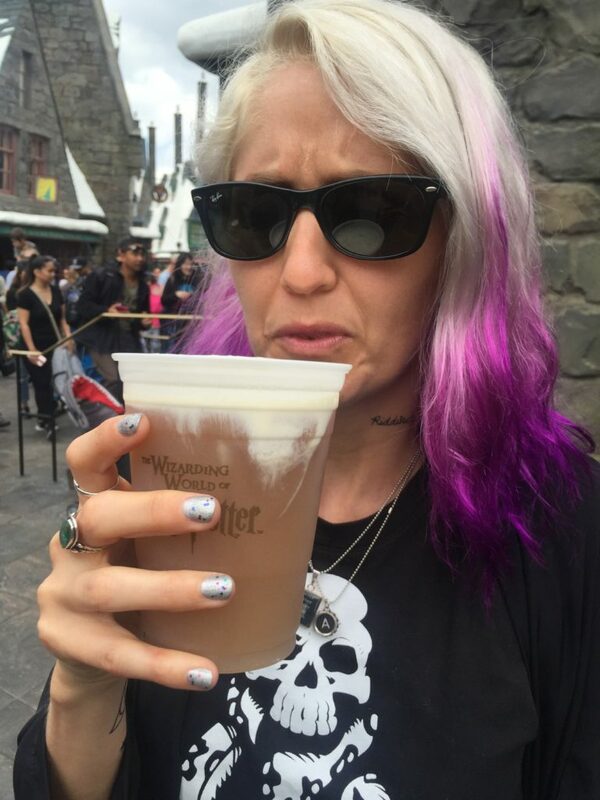 We then tried Butterbeer. It tastes like cream soda on steroids. Delish. Just a heads up, it’s non-alcoholic and crazy sweet. I’d share it with someone unless you have a major sweet tooth or really want diabetes. In some of the shops they have some original props from the movie. For example, Cho’s dress that she wore during the Tri-Wizard Tournament is on display near the Owl Post. Next up, Honeydukes. 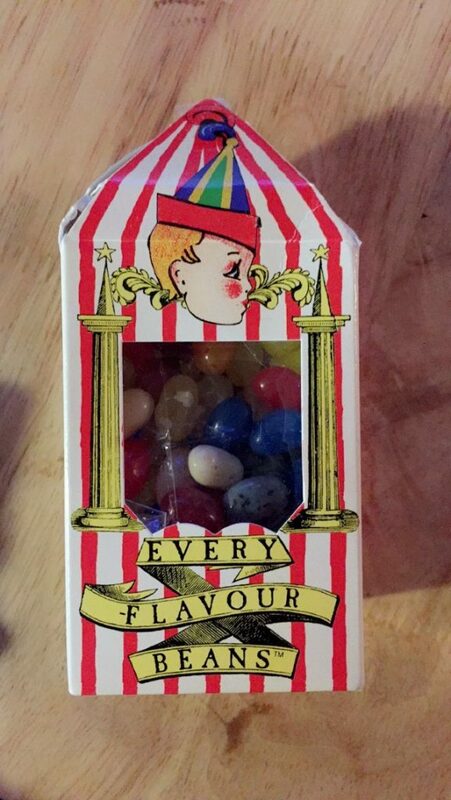 I got a Chocolate Frog and Bertie Bott’s Every-Flavour Beans. 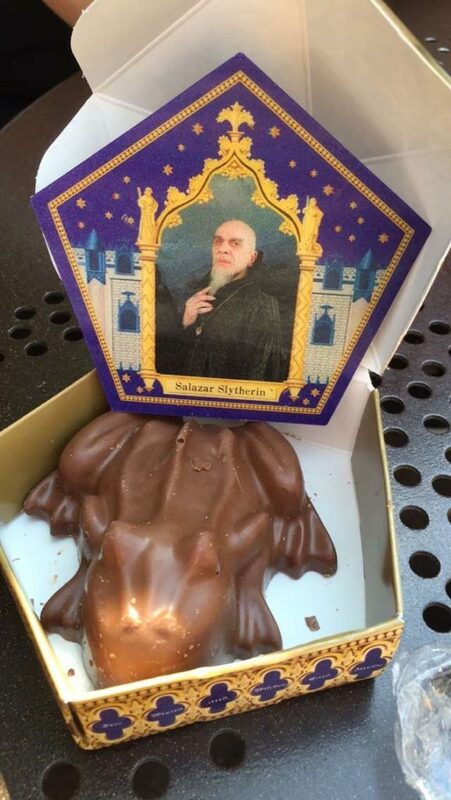 Salazar Slytherin lookin sharp. Everyone got really upset when I started to talk to Salazar. I figured they’re just jealousssssss cause they don’t understand Parseltongue. I asked the attendant if I could just get the nasty flavored Jelly Beans. I wanted them for the kids I coach. Instead of doing burpees for misbehaving I’d just give them a vomit jelly bean. They didn’t have that option. I just hate leaving things to chance. We then watched the Triwizard Spirt Rally. 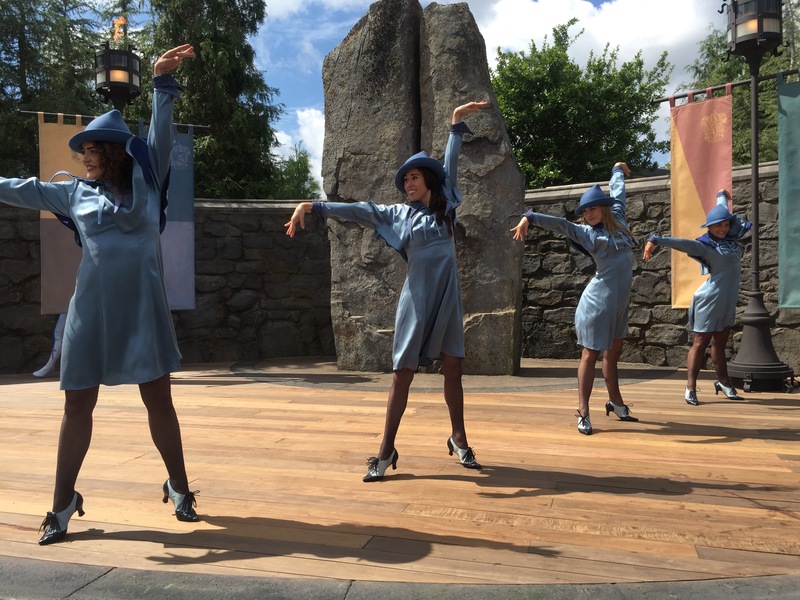 It was actually well done and not cheesy like you expect from a theme park show. 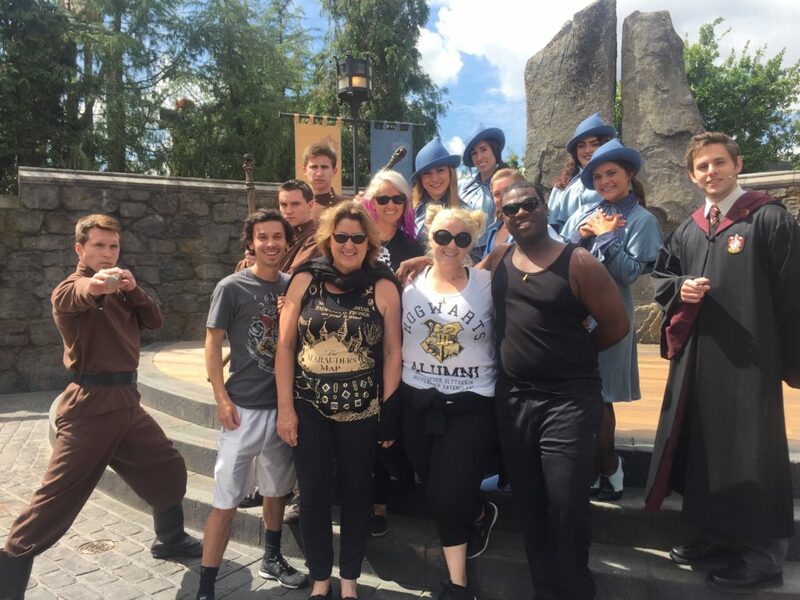 I mean it was still cheesy, we are at Universal Studios Harry Potter Wizarding World. If you don’t like cheesy you should never go. I got in line for a picture with the Beauxbatons and Durmstrangs students. The rest of the family walked away pretending they didn’t care, but once I was at the front of the line they came out from under their Invisibility Cloak. They must think they are too cool pure bloods. What a bunch of Hyppogriths. Since the 3 Broomsticks and Ollivander’s had a wait time of 90 minutes we decided to explore the rest of the park and come back later. The Simpsons, Mummy, Jurassic Park, and Transformer’s are the best rides in the park. I’ve always been intrigued with Ancient Egypt. It might have to be due to my love of Indiana Jones and The Mummy movies. 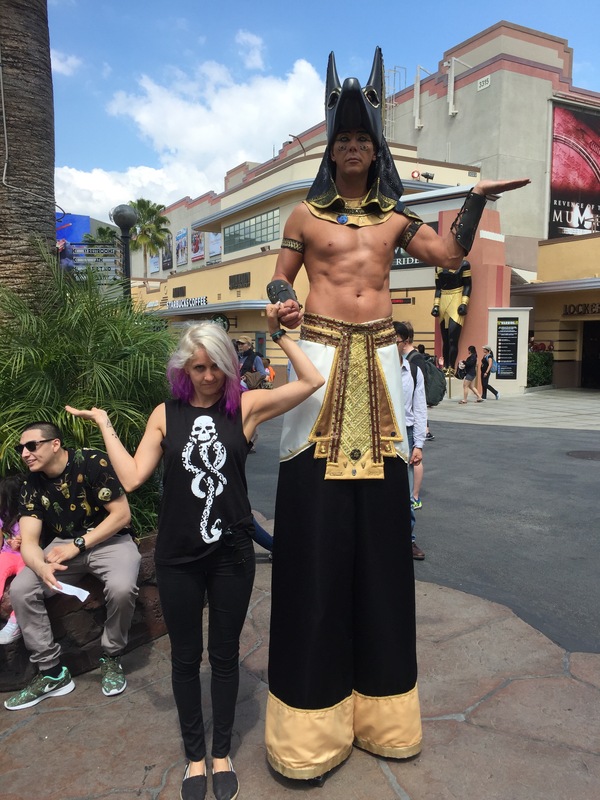 So when my mom saw a Mummy characters walking around the park she grabbed me so I could get a picture with them. I walked over to the woman and my mom yelled, “Not the women. 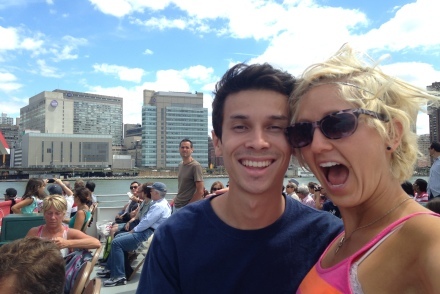 Get one with the guy!” Mom always knows best. 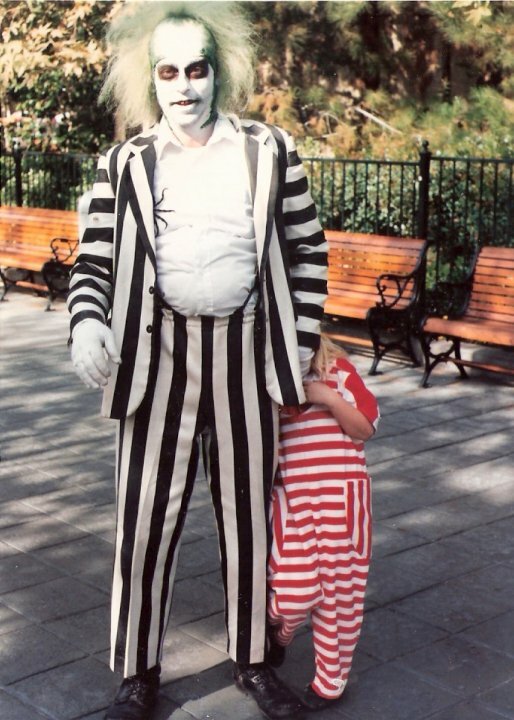 Since I was 3 years old when Beetlejuice came out my affinity for the movie and striped outfits started at a young age. This is me at 6 yo. 30! I know right. You thought I looked acted so much younger. My secret? Unicorns Blood. Worth it. I’m more of a do-it-yourselfer, but you can also find it Diagon’s back Ally or your local Sephora, but it’ll cost you a house elf. As you can see between the two pictures all the innocence has been lost. Beetlejuice asked if I wanted to makeout. Even though I do like the just escaped from Azkaban look I told him, “Beetlejuice, just cause I’m a Death Eater doesn’t mean I mingle with the dead.” Get a life. 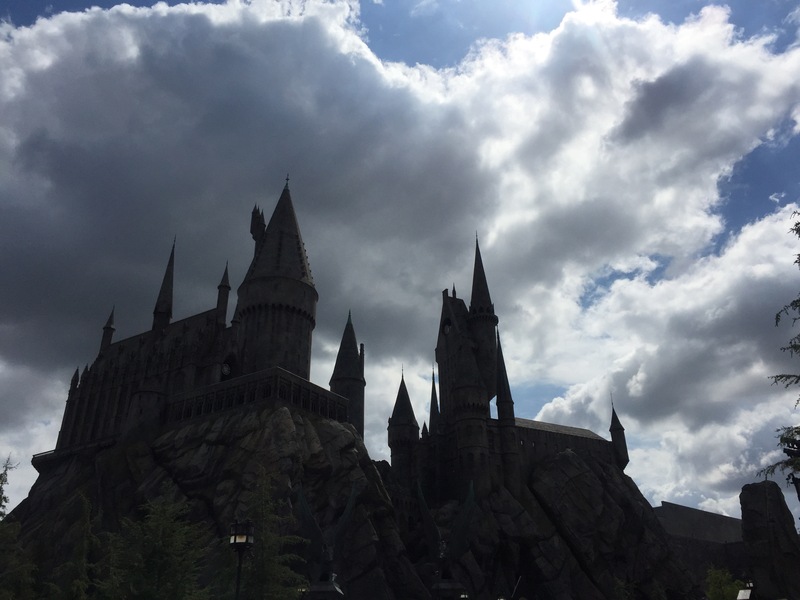 Around 3pm we were back in Hogmeade and used our secret password for another Forbidden Journey ride. By then there wasn’t a line at the 3 Broomsticks so we grabbed a Guinness Stew and Toffee Sticky Bread. The rest of the family had eaten earlier and I think they regretted it. While I haven’t eaten at every place in the park I’m pretty confident that this restaurant will give you the best bang for your Galleons. Our last stop was Ollivander’s. Wait time: 15 minutes. One lucky person gets selected to have a wand fitted for them. 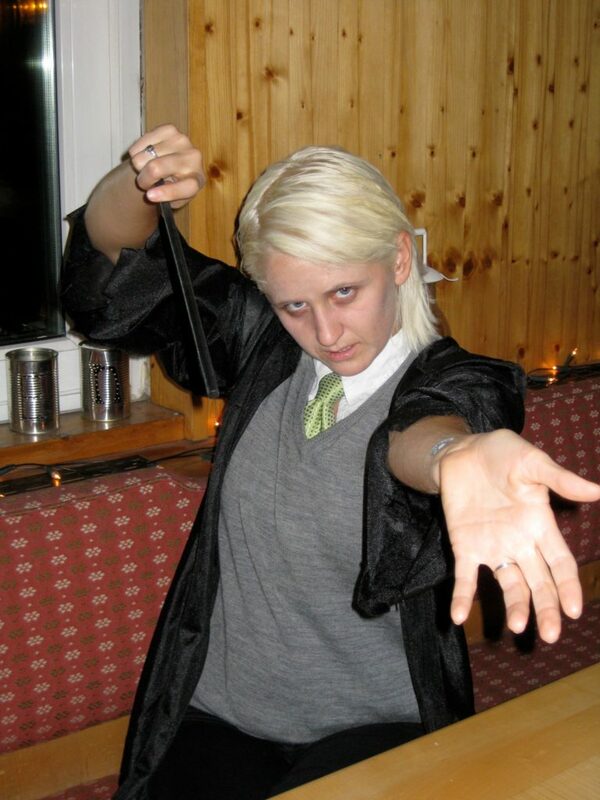 I could have Avada Kedavra the lucky Horcux that got selected. I think being meek will help your chances of getting picked. They have a script they want to stick to and don’t want an outgoing showboat that causes them to improvize. So get to the front, but keep your thoughts to yourself, Hermoine. Once in the wand shop you can pick wands based on characters, wand materials, Phoenix tail, ect. (of course I have no idea what else “ect.” could be). 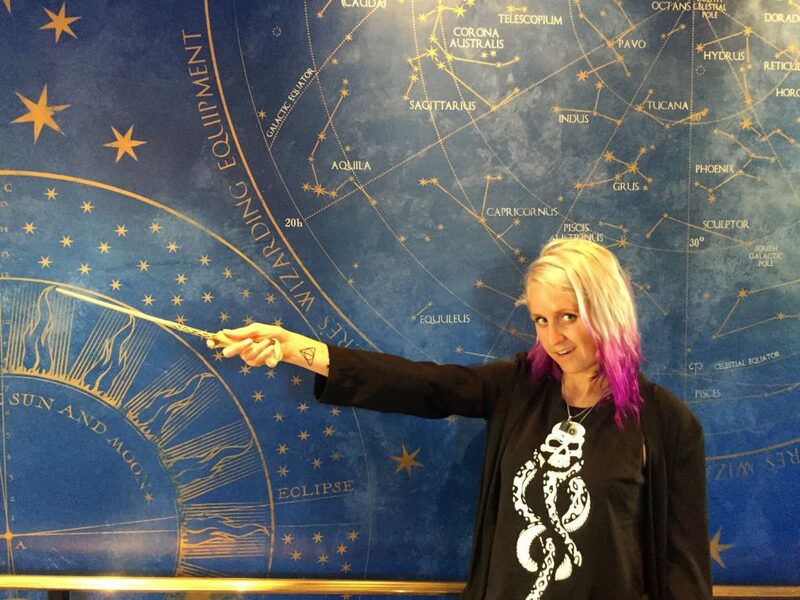 There are interactive wands that you wave at certain locations around the park to “cast spells”. They are $50 and not as fancy as I wanted them to be. They even have a logo stamped on the side of them. 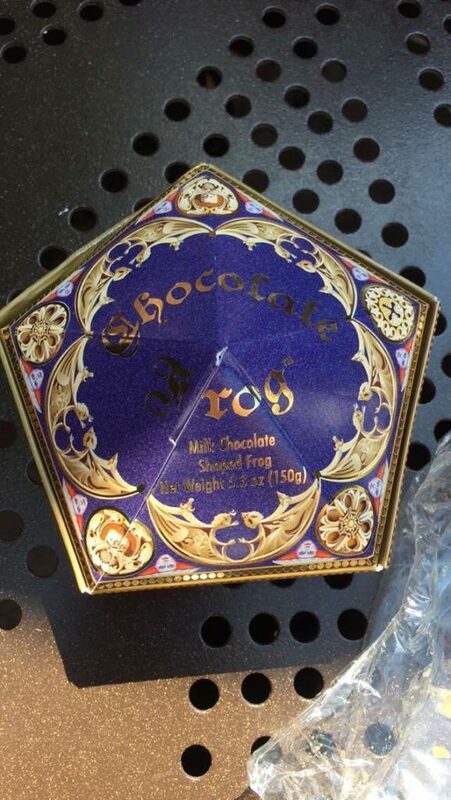 Even wizards import from China. The coolest looking ones were Dumbledore’s wand and my fave, Voldemort. Since it was the end of the day and everyone was ready to go it wasn’t worth going into my Gringotts savings to buy a wand that I didn’t have time to use. Filthy Mudbloods, always ruining all the fun. If you insist on buying a wand then definitely go there first so you have time to use it. I’m almost glad I waited cause I think the power of the Elder wand would have gone to my head. What did I tell you? 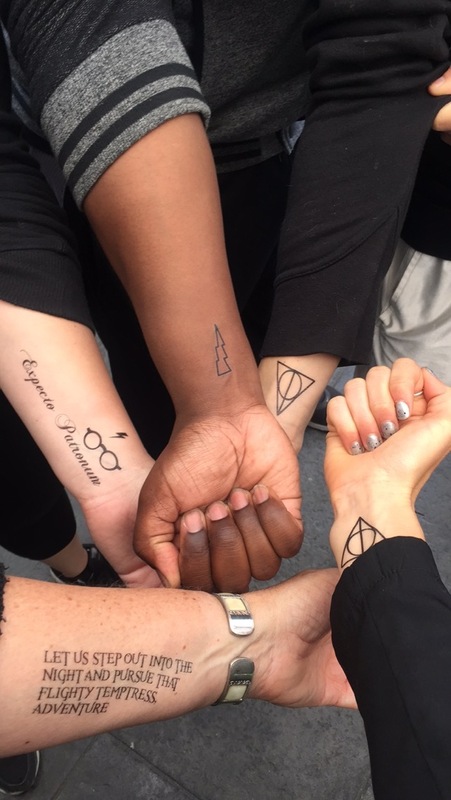 Totally normal HP lover. 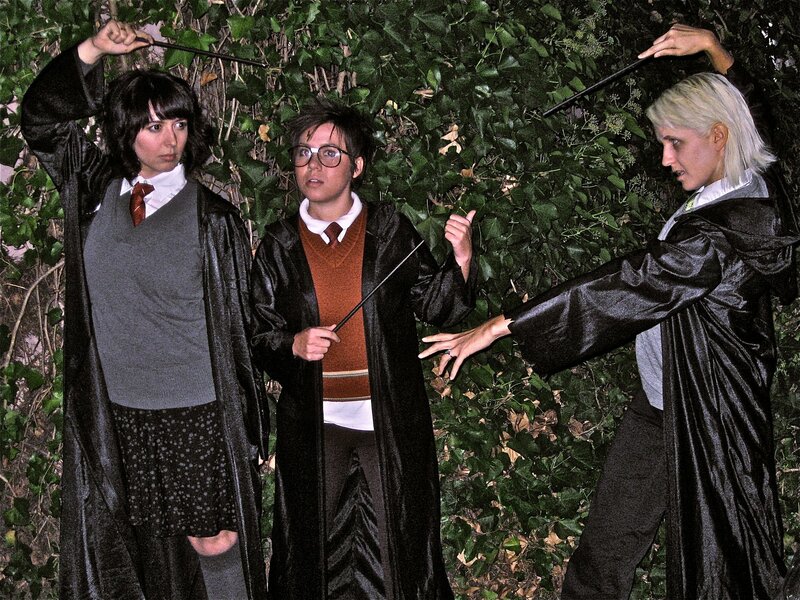 Now if you don’t love HP then which one of us is really Ridikkulus! What is the nerdiest thing you love? A really good answer, full of raitnoality!